It’s tough to get customers to your retail store — and tougher still to make them to return again and again. 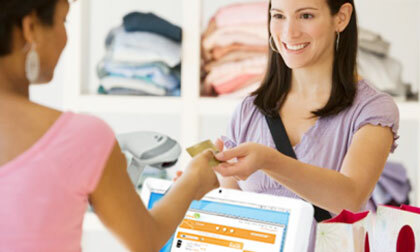 For your retail business to succeed, the key is to provide customers with a great shopping experience. What is a Great Shopping Experience? Brand Experience: exciting store design and atmosphere, consistently great product quality, making customers feel they’re special and that they always get a deal. Expediting: being sensitive to customers’ time on long check-out lines, being proactive in helping speed the shopping process. Problem Recovery: helping resolve and compensate for problems, upgrading quality and ensuring complete satisfaction. Not surprisingly, of these five categories, two were found to contribute most significantly to customer loyalty, Engagement and Brand Experience. This should resonate particularly with independent retailers. As I read about these five categories, I thought of Maslow’s Hierarchy of Needs from the psychology courses I took years ago. Maslow seemed like a good framework for understanding these five categories. In Maslow’s hierarchy, before a higher level need can be met, each lower level need must first be met. Before Social Needs can be met, for example, Physiological Needs and Safety Needs must be met. Similarly, before a customer considers a shopping experience truly memorable and a retailer deserving of loyalty, a retailer must get the basics right. These things are the baseline, minimum expectations that a customer has about their retail experience. So it only seems logical that before Engagement and Brand Experience can truly resonate with customers, a retailer must demonstrate Executional Excellence, Expediting and Recovery. A retailer must have the right product in stock and the customer must be able to easily find it, the customer must be able to get through checkout quickly, and problems, such as returns must be handled quickly and without hassle. Until you get those things right, nothing else you do is going to have much of an impact on your customers. But once you do get the basics right, you earn the opportunity to captivate customers through genuine personal engagement, one customer at a time, and delight with a unique and distinctive shopping experience. These are things that the very best independent retailers have always intuitively understood. It is the ability to get the basics right, basics that so many national retailers struggle with, and offer a unique and distinctive shopping experience, when so many national retailers offer indistinguishable me-too, cookie cutter stores, which enables the very best independent retailers to differentiate themselves so successfully.